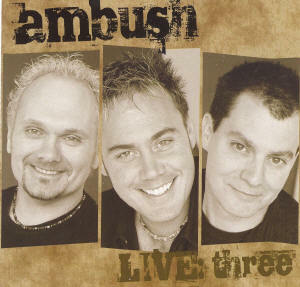 Ambush, is an Ottawa Valley based Country Music Band who are; Mark McDonell, Riq Turner and Jim Wright. They have been on the country music scene since 1993 who perform 50 weeks a year and sells out regularly, and have attendance records for many venues where they perform. They are former Perth, Ontario residents and perform at clubs, fairs and corporate events across the Ottawa Valley and along the Seaway. The group won first place in the 2006 reality series, Plucked on Country Music Television (CMT) The finals featured six talented Canadian Performers including, Aaron Goodvan, Carla Sasso, Lisa Hewitt, Mike Gouchie and Pear. With their win, they received a cheque for $35,000.00 to make a new video and the right to have another one, created during Plucked, put on regular rotation at CMT. They have faithful fans and travel long distances to catch their show. 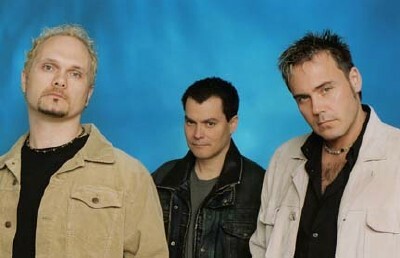 Ambush is a high-energy country-rock band and are often called the little band with the big sound. They have an unprecendented combination of talent, experience and contagious enthusiasm which contributes to their ever-growing poularity. They have produced two independent CD's all snapped up by their devoted fans. In September 2006, Ambush was nominated for Canadian Country Music Association's Independent Duo or Group of the Year. Just recently in early 2007, they released another CD entitled, LIVE THREE. It contains 18 songs, most former hit songs by others and was produced and engineered by Matt Baetz and was recorded live at The Lone Star Texas Grill in Ottawa. Ambush receives rave reviews from audiences, promoters and reviewers wherever they are performing. Ambush has performed and shared stages with, Tim McGraw, Lonestar, Terri Clark, Carolyn Dawn Johnson, Jason McCoy and Loretta Lynn, to name a few. Ambush performs more than 250 shows a year and hve performed to over 1,000,0000 people in the past 5 years. They continue to captivate crowds of all ages. For more information about the band and their music, refer to their website, address posted above.